Hi all – sorry it’s taken me so long to update the site and announce the names of the winners of the latest giveaway! Captain America and I both came down with a nasty case of pneumonia a few weeks ago, and we’ve been struggling to kick it. Unfortunately it’s left us both more than a little drained and my brain still hasn’t jumped back into high gear yet – meaning I just haven’t been able to find the energy or the mental capacity to sit down and write a real post lately. Plus when we have had a few free moments in which we’ve been feeling well, we’ve taken advantage of them by doing something FUN! On Saturday we joined his family at my in-law’s house up the river for a belated celebration of several family birthdays, and on Sunday we even managed to make it to the pumpkin patch. But I’ll get to that in a second…first, let’s get down to business! Last week I had the honor of hosting a giveaway of the latest book to be featured in my “What I’m Reading” series, Unfinished Business by Carolyn Ridder Aspenson. If you haven’t checked out my review yet, I definitely encourage you to – it was a super fun and interesting read, and I am already eagerly awaiting the sequel! Anyways, we sweetened the pot by offering up not one, but two free e-copies of the work, and today I’m excited to announce the lucky winners! I’ve sent each of the winners an e-mail announcing the win and you will have until Saturday, October 26th to accept your prizes or I will host a re-draw from the remaining entrants! Thank you so much to everyone who entered to win, you all made this the most successful giveaway yet, and that makes me SO happy. Stay tuned, because if you didn’t win this time, you’ll definitely have another chance soon. Be sure to check out the Giveaways page to stay updated on all of the latest giveaways on The Hand-Written Life! (And if you didn’t win a copy of Aspenson’s book, but are interested in buying a copy, check out the links at the bottom of this post). 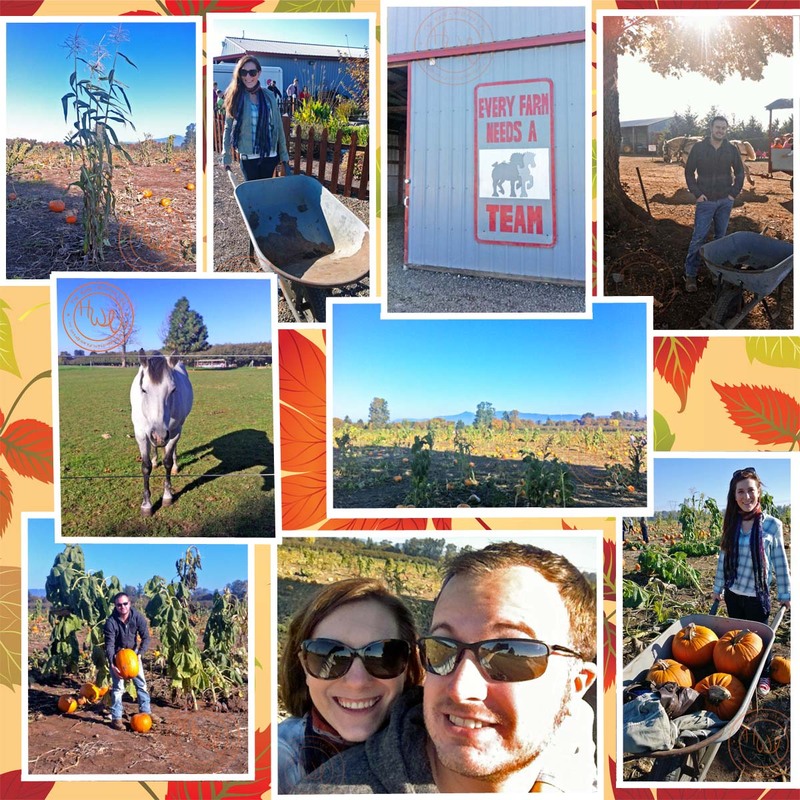 And with that, I leave you with a few pictures of our First Annual Family Pumpkin Patch Trip! Didn’t Win the Giveaway? Click the Links Below to Get Your Copy of The Book! Purchase your copy of Unfinished Business , today! Or if you have an e-reader, why not get an e-copy?